June 12, 2017 / C.S.G. 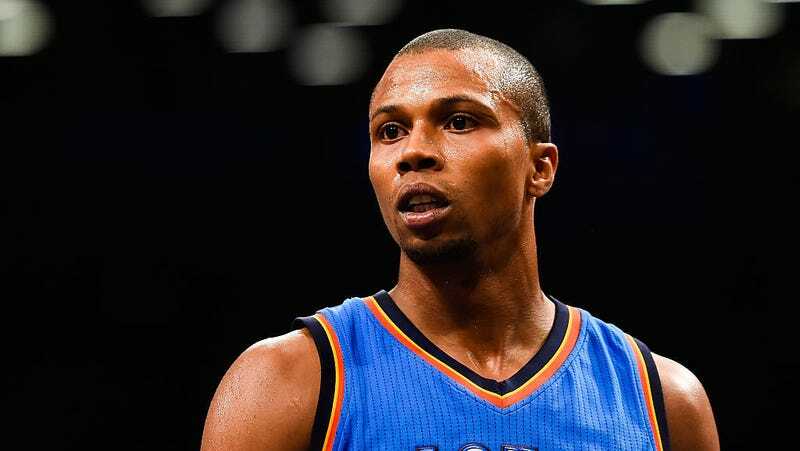 Former NBA journeyman Sebastian Telfair was arrested in Brooklyn Sunday morning and charged with possession of a terrifying arsenal of weapons, ammunition, and bulletproof vests, according to an NBC New York report. NBA fans of a certain age will remember Telfair as a legendary Brooklyn high school point guard who backed out of a commitment to play for Rick Pitino at Louisville in order to enter the 2004 NBA draft, and wound up going to the Trail Blazers with the 13th pick. Telfair’s prestige as a professional basketball player can be tracked pretty tidily by the players he was traded for during his nine years in the NBA: from Portland to the Celtics in 2006 in a deal that ultimately returned Brandon Roy to the Blazers; from the Celtics to the Timberwolves in 2007 as part of a package that returned Kevin Garnett to Boston; from the Wolves to the Clippers in 2009 in a deal that sent a declining Quentin Richardson to Minnesota; from the Clippers to the Cavs in 2010 as part of a complex deal that brought along Antawn Jamison’s corpse to Cleveland; from the Cavs back to Minnesota in 2010 in a deal for Ramon Sessions; and, finally, to the Toronto Raptors in 2013 in a deal for [gulp] Hamed Haddadi. Telfair last played professionally for the Xinjiang Flying Tigers of the Chinese Basketball Association. Telfair, 32, and another man, Jami Thomas, 18, were found with three loaded firearms, a semi-automatic rifle, ammunition and a bullet-resistant vest, police said. Two bags of marijuana and a burning marijuana cigarette were also allegedly found in the 2017 Ford F-150 pickup with Florida plates.